This month I adopted Kate over at Gluten Free Gobsmacked. Kate is a wife, busy school teacher and mom of two precious little girls. Kate’s blog was one of the first blogs I found a few years ago. I have always been impressed (and a little jealous) with how easily she seems to put baked things together, gluten free, of course! (I am not that great of a baker.) After browsing once again through her recipe index, I knew I needed to make some of her baked goods and so I decided upon three items to make. First off, the Tortilla Soup. 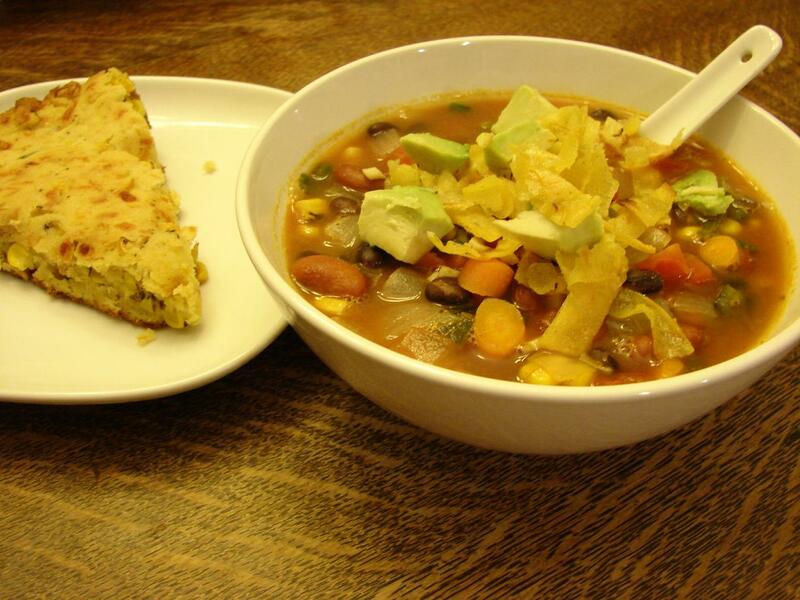 We always love tortilla soup and this was no exception. We omitted the chicken and used vegetable broth to make it vegetarian for my husband and I added another can of beans (kidney) to the soup to make up for the chicken. We topped it with fried tortilla strips and avocado. 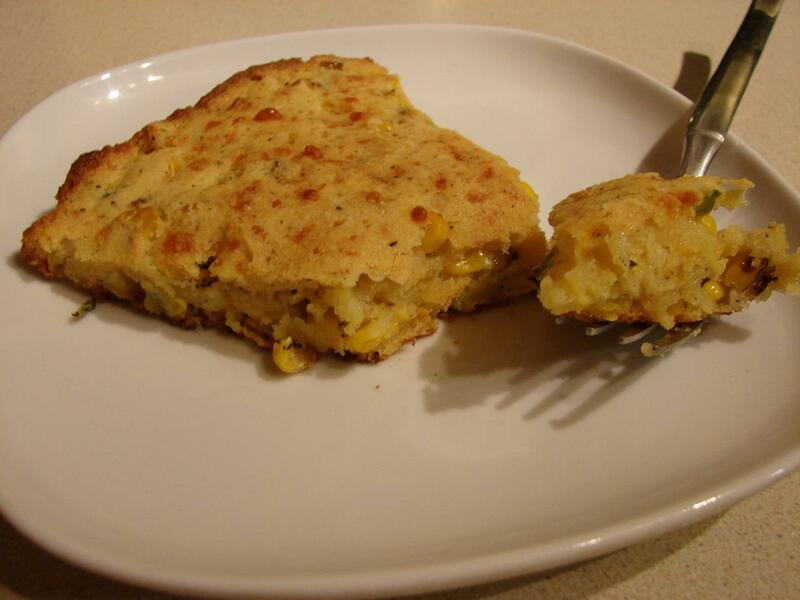 And I served the Skillet Corn Bread alongside. Yum! We loved the corn bread. I always love corn bread in the cast iron skillet. This time around I only used one jalapeno as she suggested, but next time I will add two. The flavor was just barely there and I think a bit more jalapeno flavor would be great. The only change I made was to her process. I heated the cast iron skillet in the oven instead of on the stove top, which is how I usually do it. Then you take the skillet out of the oven and toss in the butter to melt and then the batter on top. I was surprised that the bread did not rise up much, it stayed a dense, thick cornbread. Which is great, don’t get me wrong, but I was initially disappointed because I thought I had screwed it up. But once I looked back at Kate’s picture, I knew I had made it right. We loved it. And the leftovers the rest of the week. For the last item, I tried her Whole Grain Sandwich Wraps. Oh my goodness!! I have made them four times! 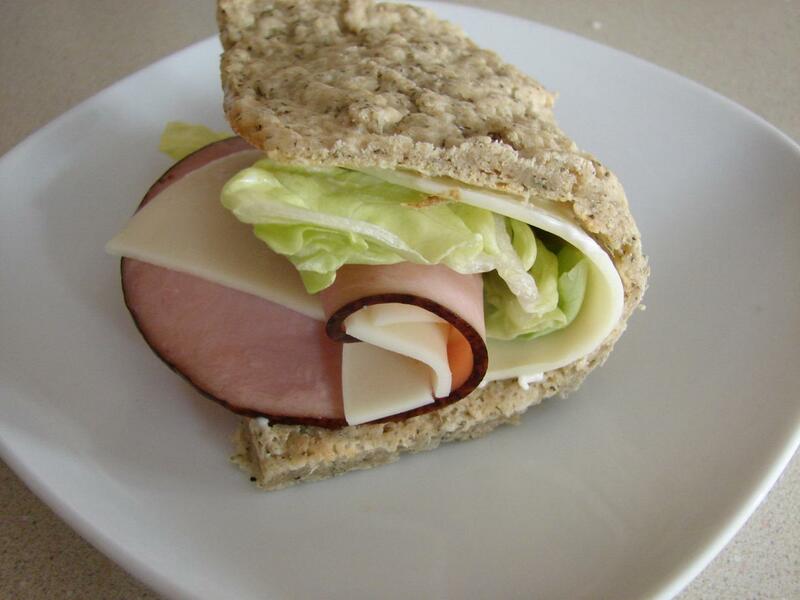 I have been enjoying warm ham and cheese sandwiches for my lunches. I have never been much of a sandwich person, even prior to being diagnosed with celiac disease. Back in school I can remember taking crackers and cheese for lunch instead of a sandwich. And then 16 years ago, when I was diagnosed, there weren’t many bread options. So I haven’t thought much about bread over the years. Until lately, since there are a lot of good breads out there and I started making my own gluten free boule. And so we have been on a sandwich kick lately, mainly BLT’s with fake bacon for my husband (not gluten free) and real bacon for me. BLT’s don’t travel to and from work as well, so hot ham and cheese sounded good to me. We enjoy all the flavors in this bread, but especially the fennel seeds. I had forgotten how much I like the flavor of fennel in dishes. The only change I made was to use amaranth flour instead of millet, just because I had it and I have been trying to use up the stuff I have in my pantry. As well, the only issue I had was not being able to spread the dough as thin as Kate does on the tray. My wraps have not turned out as thin as hers. Oh well, it’s still wonderful! And practice makes perfect, right? I WILL be making this again and again, because it is SO easy to whip up in an evening. The first batch, didn't quite fill my 10x15" cookie sheet, probably because I couldn't get it thin enough. My wrapping skills leave a little to be desired. I have made other recipes from Kate’s site previously, one of which is her Easy Sponge Cake. Just in time for spring! Here’s my review of it. So, I encourage you to head over to Gluten Free Gobsmacked and take a look at what she has to offer. I know you’ll enjoy her and her family as well as her recipes. Also, be sure to check out the list of all the other adoptions this month over at Book of Yum. And as always, thanks to Sea for organizing and arranging it all! Oh my goodness, Renee. I’m so thrilled that you “adopted” me this month and made several things that we adore here as well. Thank you for your kind words – I really appreciate them. :) And you’ve made me hungry for some corn bread. I think it is going on the menu tomorrow night with some chili! Yum! You’re awesome, Kate! I have so many of your recipes bookmarked and it was high time to make some more. 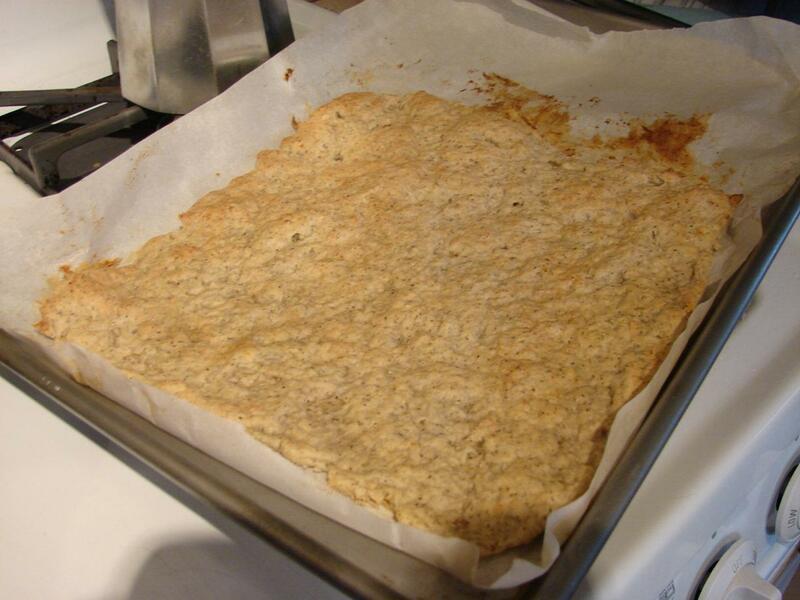 I used one of your pizza crust recipes this week too…it’ll be in an upcoming post…Keep on cooking! I’m a huge fan of Kate’s as well – I’ve been following her blog for years. So glad to see that you had success – her recipes are top-notch! Kate’s blog and her wrap recipe were some of the first successes of our gf journey. I still make the wrap bread a lot, but use it as flatbread for hummus. My son just loves it. I’ve been playing around with using different grains like millet and amaranth and it still comes out great. Nice job on the adoption. Oh yes, the flatbread would be great with hummus too. I was enjoying the change to sandwiches. But now I need to take a break from those since I was chowing down on the calories! Yikes! I am glad I am finally learning to play around with flours and understand what is a good substitute and what isn’t…takes practice and lots of reading of other great gf baking blogs! I’m getting there.